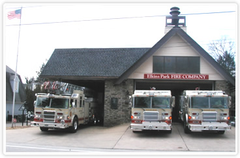 Elkins Park Fire Company (another local public safety ageincy) will be hosting a toys-for-tots event this Sunday December 12th. The event will run from 10:00 AM to 2:00 PM. Members of the community are invited to visit the fire company during these hours to enjoy some refreshements and socializing and are asked to bring an new, unwrapped gift to be donated to "Toys for Tots". 7818 Montgomery Ave, Elkins Park.